Do you lack confidence? Is it a lack of drive that is a reason for failure? Try Teen Mukhi Rudraksha , represents Agni (the Lord of Fire ) and get back the confidence to face all adversities and come out victorious . This bead is extremely powerful in making positive changes in the life of those who suffer from loneliness, depression and nervousness. 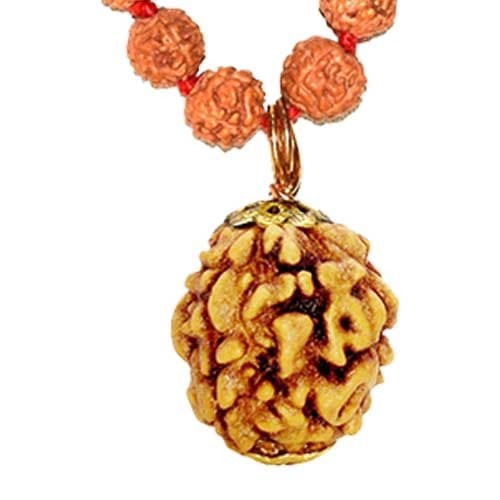 A teen mukhi Rudraksha is known to absolve past sins and purify human soul. A teen mukhi rudraksha takes one closer to god and thus is a perfect means to attain salvation. In case you're in sports or real estate, wearing a teen mukhi rudraksha can guarantee unquestionable success. An astrological remedy for those who have a malefic Mars (mangal dosha ) in their horoscope. Find a cure to diseases like blood pressure and menstrual problems. This bead is beneficial for those who have Mangal Dosha in their horoscope. While wearing this one must chant 'om kleem Namah'. Order Teen Mukhi Rudraksha now and get back your confidence ! !